Aid projects in Yemen funded by the international charity Oxfam have been hit in Saudi Arabia-led coalition airstrikes, it has emerged. A vital cholera treatment centre in Abs, in the Hajjah province, was hit in June in coalition war strikes supported by British intelligence – despite the location being reported to the Saudi alliance more than 12 times. Oxfam, which is supported by European and UK funding – revealed the news after Oxfam’s Dina el-Mamoun told the International Development Committee this week that UK aid had been bombed. 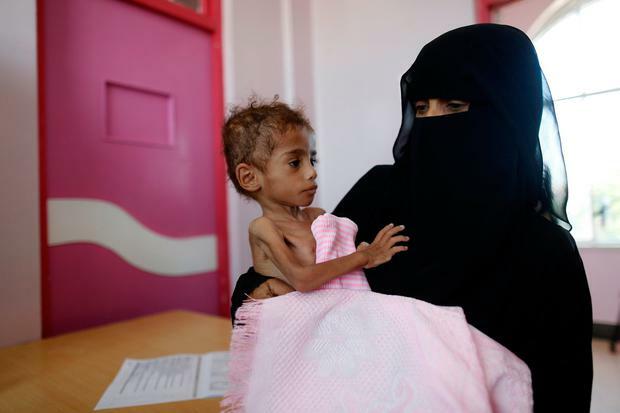 Oxfam’s head of advocacy, Toni Pearce, called British policy towards Yemen “irresponsible and incoherent”, three years into a war which has sparked the world’s largest humanitarian crisis in numbers of people and pushed the country to the brink of famine. And last week Medecins Sans Frontieres/Doctors Without Borders said their health facilities have been hit five times by the coalition since the war erupted in 2015, killing 21 patients and staff, and injuring 33 others. Since Saudi Arabia and its Gulf allies launched a bombing campaign to oust the Iran-backed Houthi rebels in the spring of 2015, the UK has sold an estimated €4.2bn worth of arms to Riyadh. And despite reassurances from the UK government that its intelligence support and training of the Saudi-led forces is helping reduce civilian casualties, the latest report from the Yemen Data Project (YDP) shows that 48pc of all known airstrikes hit non-military targets. The Saudi-led coalition began bombing the country in 2015, imposing a crippling land, sea and air blockade. The campaign was intended to re-instate president Abdrabbuh Mansur Hadi, who was ousted by the Iran-backed Houthi rebels when they took control of the country in 2014. The Houthis have been accused of bombing aid convoys and laying siege to pro-government areas, leading to starvation. Peace negotiations collapsed this September, and despite calls for renewed talks, thousands of government troops are amassing around the Red Sea port of Hodeidah ahead of a renewed offensive. In the interim the conflict has sparked a humanitarian crisis – with two thirds of Yemen’s population now relying on aid. Lise Grande, the UN coordinator for Yemen, said last month that 13m civilians could die from starvation if the bombardment continues. Last Friday the UN warned that a looming famine could put two million mothers at risk of death. Saudi Arabia has come under increased scrutiny for its attacks, which have hit hospitals, schools, homes and markets. The Gulf coalition has repeatedly denied accusations by rights groups such as Human Rights Watch that its actions in Yemen amount to war crimes, or that it strikes civilian infrastructure. They maintain that they conduct comprehensive reconnaissance before each mission, and have in the past accused the Houthis of using civilians as human shields.